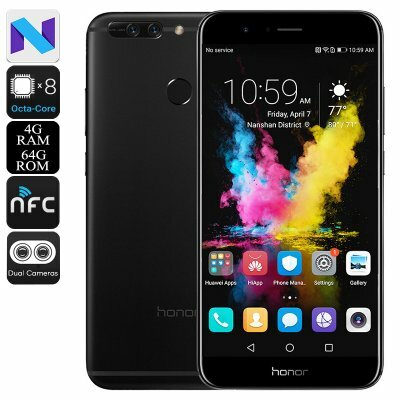 Successfully Added Huawei Honor V9 Smartphone - Octa Core CPU, 4GB RAM, 5.7 Inch 2K Screen, Dual Rear Cameras, Fingerprint Sensor (Black) to your Shopping Cart. Huawei's flagship Android phone, the Honor V9 is a beautifully designed large screen Smartphone that's a beast of a phone. The 5.7 inch 2K LTPS Screen brings breathtaking graphics and visuals with 2560x1440 resolutions that will blow you away. Running the same Hisilicon Kirin Octa Core CPU as the Mate 9 which is clocked at 2.3GHz, and with a whopping 4GB of RAM the performance is nothing short of outstanding with AnTuTu tests. The Honor V9 smartphone comes with a hefty 64GB of internal storage and has two 4G SIM card slots, the second of which can be used for extra storage as it also supports a micro SD card allowing you to add an additional 128GB of memory space. With a standby battery life of 300 hours of 5 hours worth of serious phone fun the 4000mAh battery that's built into this phone will see you through even a busy day of phone calls. As you would expect this latest flagship[ phone from Huawei comes with the latest Android 7.0 OS with the EMUI5.0 launcher that aims to bring a smoother and more intuitive interface for your ease of use. On the rear of this sleek cell phone is the fingerprint sensor. located just below the dual lens camera and two-tone flash setup. each of the rear cameras has a 12MP sensor and with a f/2.2 aperture, it's perfect for snapping shots in any light conditions. When it comes to style the V9 doesn't disappoint. It has a metal body and the large 5.7-inch screen features an almost nonexistent bezel at the sides as the 2.5D arc glass sweeps down to the curved edges. at just 6.97mm thick this super slim Smartphone will be able to rival all the main flagship handsets with looks and performance while shattering them on affordability. With the lush views, you can even enjoy a3D VR experience as the box this phone comes in converts into a custom pair of 3D Glasses similar to the Google cardboard. 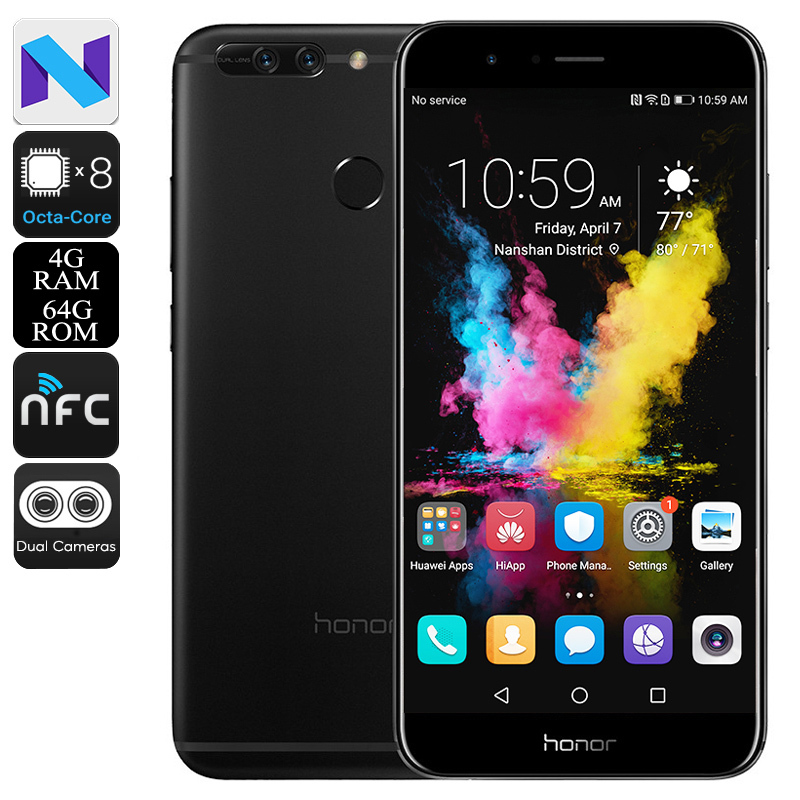 Huawei Honor V9 Smartphone comes with 12 months warranty, brought to you by the leader in electronic devices as well as wholesale Android phones and phablets..